Monarch Air Group provides private air charter in Dayton, OH. Our clients benefit from top-notch service, unrelenting dedication to safety, wide selection of aircraft, and years of experience in chartering private jets. To obtain a free quote, please use our online quoting tool provided below, or call toll free 1-877-281-3051. Monarch Air Group provides private jet charter flights in and out of Dayton, Ohio, USA. 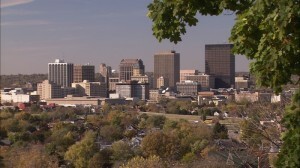 Dayton is the 6th largest city in western Ohio with a population of about 141,527 people. It was the home of aviation pioneers Orville and Wilbur Wright and is still a centre of aerospace research. In 2010, the city was named as one of the best places in the USA for college graduates to find a job. The most popular points of interest are National Museum of the U.S. Air Force, Benjamin & Marian Schuster Performing Arts Center, Carillon Historical Park, Dayton Art Institute, Dayton Aviation Heritage National Historical Park, Victoria Theater, and much more. The city is served by Dayton International Airport (DAY / KDAY), which is located 13 miles from the center of Dayton. 1. AOH, Allen County, Lima, United States. 2. AXV, Neil Armstrong, Wapakoneta, United States. 3. CEV, Mettle Field, Connersville, United States. 5. CVG, Cincinnati/northern Kentucky, Covington, KY, United States. 6. DAY, James Cox Dayton Intl, Dayton, Oh, United States. 7. FFO, Patterson Afb, Dayton, United States. 8. HAO, Hamilton, Hamilton, United States. 9. HLB, Hillenbrand, Batesville, United States. 10. ILN, Clinton Field, Wilmington, United States. 11. LCK, Rickenbacker, Columbus, United States. 12. LUK, Cincinnati Municipal-Lunken Field, Cincinnati, OH, United States. 13. MGY, Dayton-Wright Brothers Airport, Dayton, United States. 14. MWO, Hook Field, Middletown, Ohio, United States. 15. OSU, Ohio State University, Columbus, United States. 16. OXD, Miami University, Oxford, Canada. 17. RID, Richmond Municipal Airport, Richmond, IN, United States. 18. SGH, Springfield, Springfield, United States. 1. Dayton Grand Hotel-Downtown, 11 South Ludlow Street, Dayton. 2. Dayton Grand Hotel-Downtown, 11 South Ludlow Street, Dayton. 3. Crowne Plaza Hotel Dayton, 33 East 5th Street, Dayton. 4. Dayton Grand Hotel-Downtown, 11 South Ludlow Street, Dayton. 5. Crowne Plaza Hotel Dayton, 33 East 5th Street, Dayton. 6. St. Vincent de Paul Hotel Gateway Shelter, 120 West Apple Street, Dayton.